Listed as Critically Endangered on the IUCN Red List in 2004, the Mekong Irrawaddy Dolphin is part of Cambodia's national heritage and an important source of income for communities involved in Dolphin watching ecotourism. The biggest threat to Irrawaddy dolphins is illegal fishing. Through alternative livelihoods projects, WWF-Cambodia aims to enhance local livelihoods and protect the Mekong dolphin. To learn more about how dolphin conservation has benefited local livelihoods, read the case story. 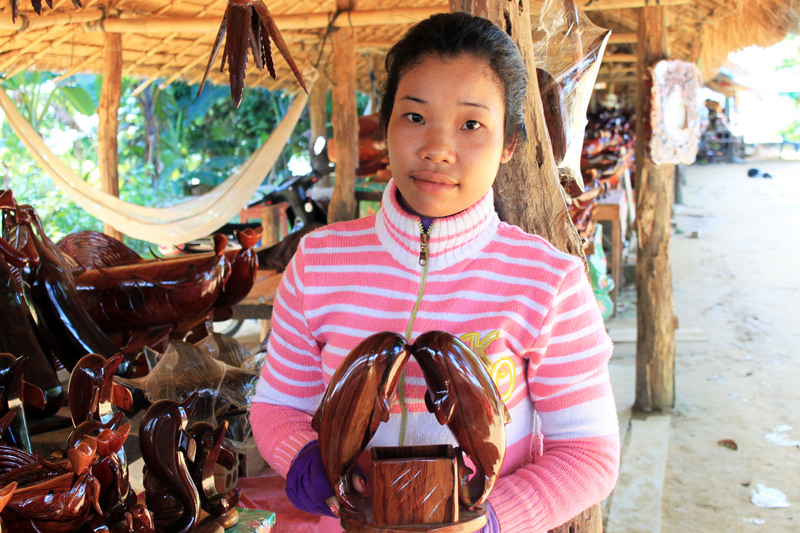 Khoeun Sitha sells wooden dolphin sculptures at her stand in Kampi.